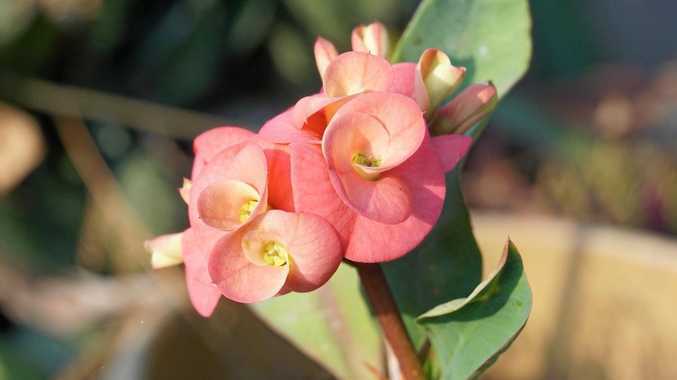 One of the easiest flowering potted plants to care for would have to be euphorbia milii, or crown of thorns. This plant from Madagascar is a succulent, with stems adapted for water storage. It has vicious looking thorns on the stems and branches, and flowers profusely for most of the year. Colours range from white through pastel yellows and pinks to vibrant reds. Euphorbia milii grows quite slowly, and rarely reaches a metre in height. Look closely at this plant and you'll see it has many interesting features. Its grey-brown stems are not round but have 5-7 sides and many prominent grey thorns a couple of centimetres long. The leaves are smooth and oval shaped, and range in colour from bright green to greyish green. It is very popular in Thailand where it is known as poysean (Chinese for eight saints), since the original forms typically have eight flowers in each bunch. The eight saints each represent a different force - Health, Bravery, Riches, Beauty, Art, Intelligence, Poetry and Ability to Overcome Evil. Poysean plants are believed to help bring these positive forces to the home and its occupants. These plants need a well-drained, warm position in full sun. They look great in a pot and can live quite happily in one for several years since they don't grow too quickly or too tall. Use a premium potting mix or one formulated for cactuses and succulents and make absolutely sure that the pot can drain freely. If in doubt, add some extra holes to the bottom of your pot. If the pot has a saucer, be sure to tip out excess water, and don't let the plant sit in water for any length of time. Once your crown of thorns is established, you won't have to water often. Indeed you should allow the top few centimetres of soil to dry out between waterings. These plants are drought tolerant and it is important not to over water them, particularly in cool weather. They appreciate a slow release fertiliser in spring and late summer. 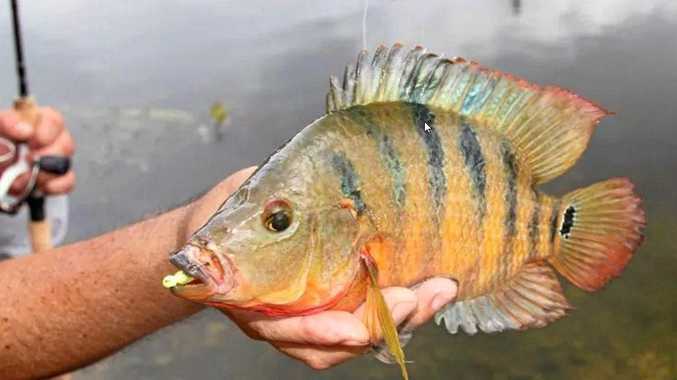 They are relatively free of pests and diseases. Most problems are caused by too much water and/or inadequate drainage. Keep them on the dry side, in plenty of sun, and you'll be rewarded with a lovely display year-round.